More than two decades of intensive basic research on nanomedicine has generated good knowledge on the limitations and the benefits of the use of nanotechnology in the biomedical field. Private and public initiatives have been launched to overcome technical difficulties that limit the translation of basic knowledge on nanomedicine into new products. At this stage, it is essential to gather the attention of nanotechnologists, clinicians, regulators and pharma industry to link bench to bed. This has been the objective of the 2nd Workshop on translational nanomedicine organized by CIDETEC Nanomedicine in the frame of EC funded NanoPilot project. 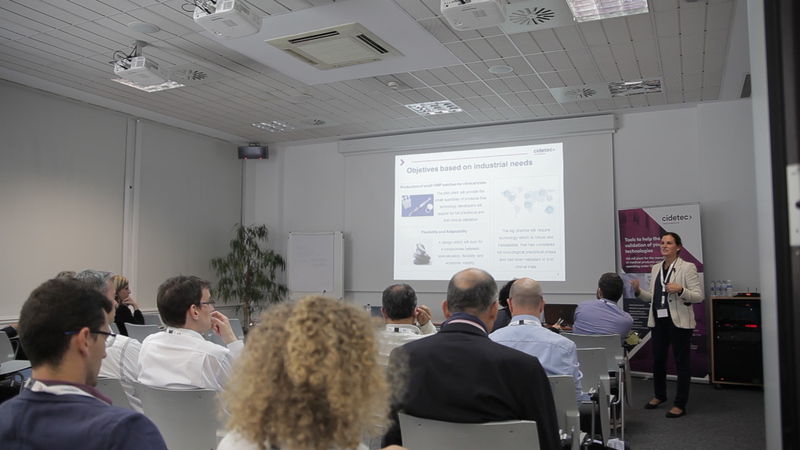 During two days the audience has assisted to 25 talks covering aspects on how to be prepared for translational research in early stage of development, new technologies for manufacturing, advanced characterization and regulation.